Sarah Bolger (Emelie, A Good Woman is Hard to Find) stars as an A.I. 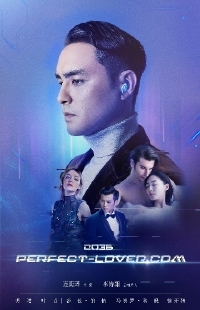 in a new Chinese sci-fi thriller called 2036 Perfect-Lover.com. The actress recently shared the film's first trailer, which you can watch below. In a future world where humans are ranked by social credit points and social classes are more divided than ever, artificial intelligence is fracturing society in a fundamental ways, igniting a debate about the differences between human and AIs. 2036 Perfect-Lover.com is directed by Lien Yi-Chi. It premiered in China in January, but there is currently no word about a domestic release.